Cerebral Palsy (CP) is an unwelcome global phenomenon. World Cerebral Palsy Day, which occurs annually on October 6, reminds us that there over 17 million people impacted by this disorder. CP is one of the most common physical disabilities affecting the most vulnerable among us — children. Additionally, CP occurs over the span of a child’s entire lifetime with no cure. This year, become a catalyst for change to help improve the lives of those with cerebral palsy. ​The Centers for Disease Control and Prevention undertook the first U.S. cross-country study on the prevalence and impact of cerebral palsy. ​ The National Institute for Mental Health was funded and organized to assist those with mental disabilities. ​The innovative United Cerebral Palsy Association was formed to help people with cerebral palsy receive better diagnosis, treatment and funding. Harry Jennings, an engineer, built the very first modern folding wheelchair to improve the lives of those with motor impairments. He was the first person to study cerebral palsy. Both children and adults with cerebral palsy deserve to be heard. If you have the disorder — or you're a parent, caregiver, or friend of someone with CP — blog about your experience. Post pictures throughout social media letting everyone know about World Cerebral Palsy Day and why it is so important. People with CP need to burst out of the shadows and shout their confidence. Although there are over 350 million people who are connected in some way to cerebral palsy, there are lingering misconceptions about the disorder. There are cultures that believe CP is contagious. But wherever there is the darkness of ignorance, there must be a way to shine the light of education. By attending an event on cerebral palsy, you can find out what different countries are doing to create awareness and you may even come up with a few ideas for your own neighborhood. Sadly, there are many children with cerebral palsy who may experience feelings of isolation from not living in a positive, accessible environment. If you have a child or know a child with CP, throw a party or set up a play day because all children need to play. At the party, set up easy games for the younger children and video games for the older kids. Make the environment festive as well as a day they will always remember. ​The numbers are chilling. One in four children with CP are unable to talk; one in three can't walk; one in two have a mental or intellectual disability; and one in four has epilepsy. ​One in 500 infants is born with cerebral palsy. ​Almost half of the people with CP were born premature. ​In many societies around the world, people with CP are kept uneducated and hidden away from the rest of the community. ​In the Netherlands, a baby is born with cerebral palsy every 22 hours. In order to correctly examine cerebral palsy, it's important to note what it is not — a disease. In fact, CP is considered a disorder. The effects of CP change from person to person. Those effects include a weakness in one or both hands, epilepsy, intellectual disability, and a total inability to control movement such as walking. One of the big goals of World Cerebral Palsy Day is to promote more inclusive societies for people with CP. One way to accomplish this is to educate the world on the idea that CP is not some isolated disorder. In many societies, people with CP are either pitied and overprotected — or they are regarded with suspicion. Some cultures believe that a mother was cursed for doing something wrong if her child was born with CP. World Cerebral Palsy Day is an opportunity to produce actions that will lead to more open minds and societies. 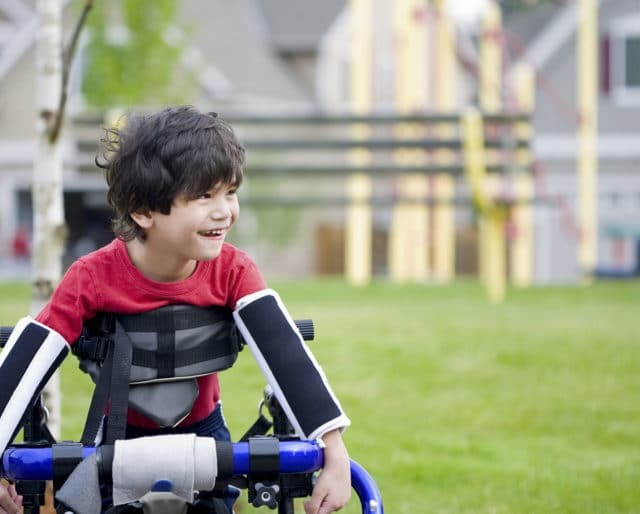 Cerebral Palsy is a worldwide disorder affecting millions of people, primarily children. Global organizations are collaborating together to take on the big issues that CP sufferers face. According to World Cerebral Palsy Day organizers, there is an active group of families and organizations in 65 countries working on improved CP diagnosis and treatment, better quality of life, educational opportunities, and charitable contributions to fund continued research.